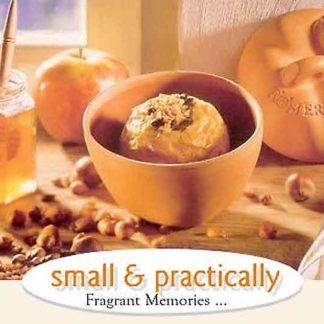 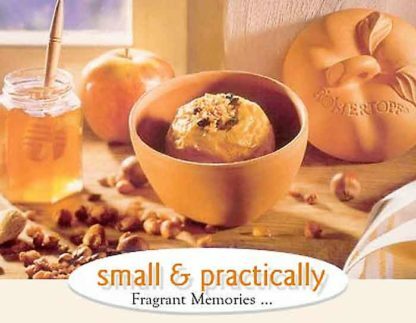 It makes you think back to the time when tiled ovens were used or when you were in grandmothers’s kitchen and its irresistible aromas made your mouth water: the scent of baked apples. With RÖMERTOPF® baked apple, you can also prepare effortlessly other desserts, for example, Savarin or a small cheese casserole. 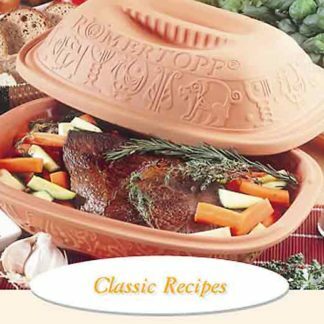 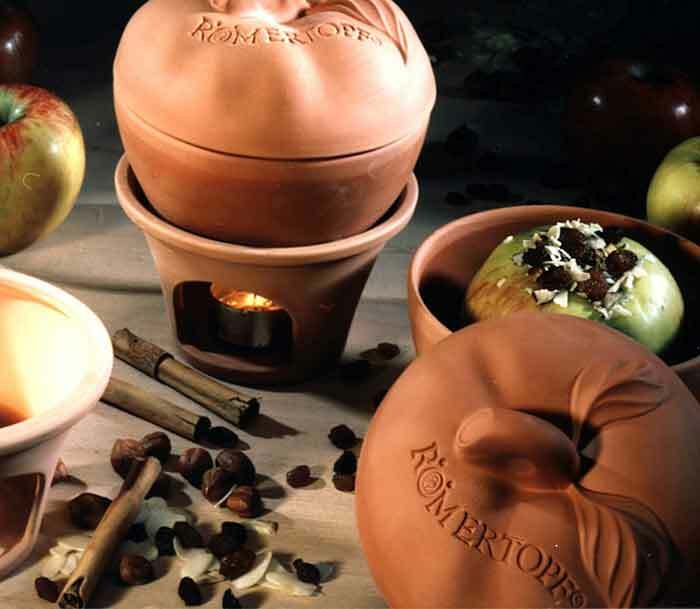 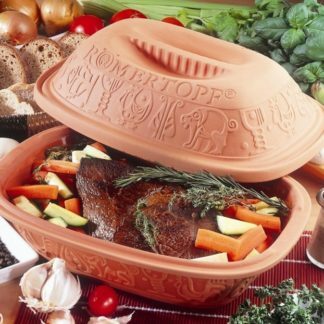 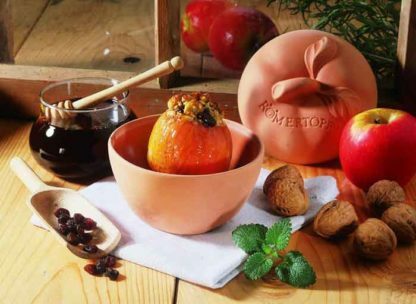 The RÖMERTOPF® baked apple is made out of pure, natural clay and has space enough for one apple. 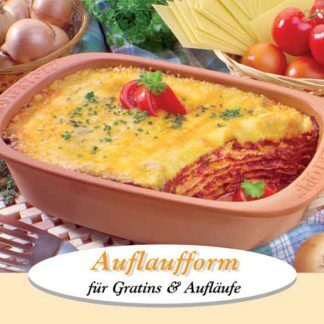 You can use this pan in the oven or microwave.